"Great for dipping strawberries or other fruit." 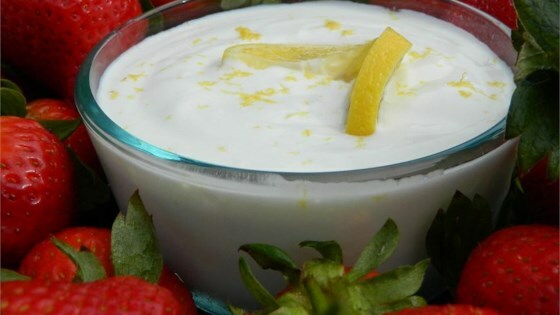 Stir yogurt, sucralose sweetener, and lemon juice and zest together in a bowl until just combined. Much to sweet for my family. Used 1/4 cup of splenda and it was a very nice balance of sweet and tart. Thanks for sharing. Very easy and very good for dipping chunks of fruit.